As we think about our food intake, exercise schedule, and improve upon our vices for our fresh start to the year, let's not forget to improve our singing habits. 1. 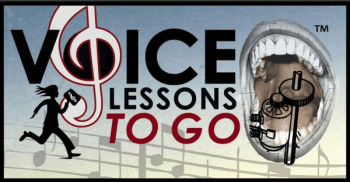 Warm your voice up in the mornings before you go out and start your day.-I know we all "know" we need to warm-up when we have singing to do, but everyday you use your voice. Your speaking voice and your singing voice are THE SAME VOICE. Gentle vocal warm-ups in the shower or in the car on the way to work help to set your voice up for a healthier day of speaking so that when you do sing, your voice is in good health. That's pretty simple. Those things HURT your voice. You need to be aware that you are a singer 24/7, not just when it is convenient. When you scream and speak loud over noise it rubs your vocal chords together causing them to swell which will effect your singing voice and could eventually cause vocal nodules. 3. 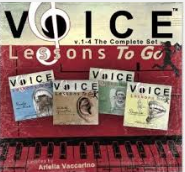 Enjoy all your singing experiences.- Remember to love the journey of singing. Your practicing, your lessons, your auditions, your performances, singing lullabies, singing to the radio... There is no guarantee of the perfect singing opportunity, or singing career in anyone's future. But, you can make a mental guarantee to yourself to enjoy all of your singing so that it leaves you fulfilled and not empty yearning for the perfect gig. Associate all your singing with joy. 4. When you are sick and it has reached your voice, do not sing till you are healed.- There is no issue singing with a stuffy nose or stomach flu but if you are feeling hoarse, keep quiet and wait for your voice to return before you start singing again. 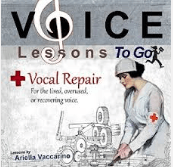 This will actually help you to have a quicker recovery to your best singing. 5. Only pick performance and audition songs that you do well, not ones that you aspire to do well.- Don't let your audience hear your weaknesses as a singer, (we all have them). Make sure your performance pieces show you off 100%. If there is a note that is too high, or a rhythm you can't master keep it for your home practice till you can own the song. Often times you only get one chance to make an impression. It is very hard to "undo" a first impression. Make sure you leave your audience focusing on your strengths rather than your weaknesses. Happy New Year! 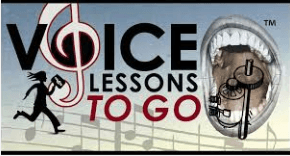 Try and get yourselves on a regular practice schedule with your singing!